In a recent issue of the Proceedings of the National Academies, Nathan Mlot a Mechanical Engineer at the Georgia Institute of Technology published an article about fire ants. While a single fire ant struggles when exposed to water, a group of the same fire ants when working closely together can float effortlessly for days. The ants accomplish this by literally linking their bodies together. The fire ants actually create “waterproof rafts”, and as a whole the rafts are significantly more buoyant than an individual fire ant floating alone- much like a happy, productive dental team can outperform an unhappy dental team any day of the week. 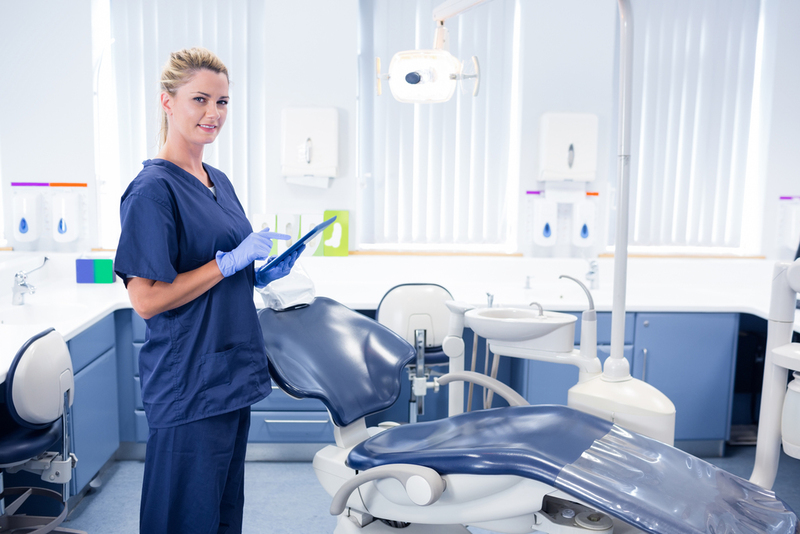 When you are seeking a new career in dentistry, you must follow some simple tips to get hired and immediately contribute to the team and the practice. So how are fire ants similar to dental team members? It’s all about synergy. The more efficiently everyone works together; the more productive and profitable the practice will be. The ultimate result will be superior customer service and high quality patient care compared to a disjointed group of people merely working in the same practice. Did you know that the cost of finding, hiring, and training a new team member costs an entire year’s salary? This is why it is so important to find and hire the best people and to create systems that allow for job satisfaction and growth. “Hire for Attitude & Train for Skill” provides insight to the first way to get hired. If an individual has a positive attitude, they can easily be trained for skills. So show your best side when applying or interviewing, and if you are hiring a new team member look for the people that are happy and upbeat with a nice smile on their face. After all, a group of people with positive attitudes are more likely to work well together, just like the fire ants. Patients especially appreciate friendliness and openness as it helps them to connect on a deeper level and strengthen the patient relationship. Remember we are in the “smile business”! We must remember to have a smile on the inside and outside at all times. Unfortunately, dental team members may not receive the appropriate training for their positions, which creates a burden on the entire team. Training is critical because most teams are only as strong as their weakest link. Linda Miles developed the concept of “Hire, Train, Trust, & Praise”, which describes an ideal dental practice management philosophy. Specific training could range from team meetings, hands-on coaching, lunch and learns, to continuing education programs. Almost every office differs in job descriptions, expectations, and training, so the key to remember is hit the ground running and get a head start on as much training as possible- this will make your new position so much easier & more fun versus stressful and you will please your new employer with your initiative. A highly-trained team of people with positive attitudes are also more likely to accomplish common goals. 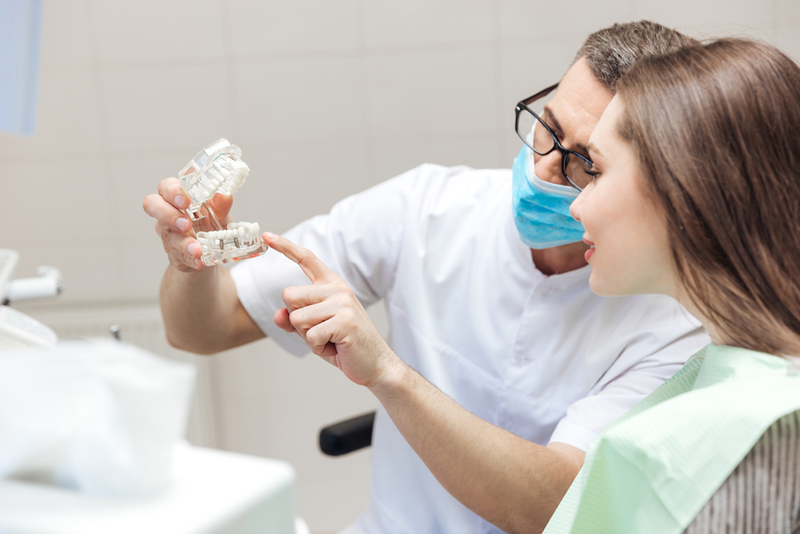 In dentistry, common goals could include expanding services provided to patients, producing a certain amount per month, or earning a continuing education trip. One way to promote teamwork and common goals is to create a practice bonus system based on net production and collections. This ensures that both the administrative and clinical team members must work together for the common benefit of the patients, the practice, and the team. At the end of the day, successful team oriented companies have “owner mentality” and NOT “unionized thinking”. The synergy and productivity is clearly evident when the entire team is happy and working together to accomplish common goals. It is a “WIN-WIN”!